Sherwood Anderson’s Winesburg, Ohio opens with “The Book of the Grotesque,” in which he describes a grotesque as one who has consumed a manmade truth and attempted to live by it, and by doing so, “the truth he embraced became a falsehood” (S. Anderson 5). The work that follows this introduction examines the isolation of the grotesques residing in Winesburg, Ohio. The grotesques are isolated because their inner selves contain a truth which they are incapable of expressing, and thus, they live with the continual struggle of having an inner self and outer self that cannot be reconciled. They are not grotesque in the typical sense of the word in that their deformities are internal, only manifesting themselves in small physical characteristics for each of the grotesques. Anderson demonstrates that each grotesque exists in a realm of dualities, in which repressed truths conceal themselves beneath falsehoods, by tracing the isolation within the grotesques’ external, interpersonal, intrapersonal relationships. First, Anderson reveals the duality of the expressed and unexpressed portions of the grotesques through their relationships with the external and impersonal. By connecting the characters with inanimate elements within the environments, Anderson is able to amplify the contrast between expression and isolation for the characters. Anderson’s use of doors in the work provides the first example of this external form of relationship. A door possesses only two states, open and closed, which correspond directly to the expression and isolation the characters experience. “Mother” and “Loneliness” provide the two clearest examples of how the doors function throughout Winesburg, Ohio. In “Mother,” Elizabeth Willard shares a “deep unexpressed bond of sympathy” with her son, George, but she cannot find a way to make her love explicit (S. Anderson 25). She instead has formed a habit of pressing herself against the door to her son’s room, trying to form a connection, because she is closed, just as the door is. Other characters who are not grotesques also interact with the doors in “Mother,” most notably, Tom Willard, Elizabeth’s husband. Elizabeth watches Tom as “in the light that streamed out at the door he stood with the knob in his hand and talked” (S. Anderson 31). Tom’s interaction with George demonstrates that expressing ones sentiments to George is entirely possible for others, but not for Elizabeth, who remains trapped within herself. Further, the idea of doors as a symbol for the open or closed channels of expression reappears in the same relationship later in Winesburg, Ohio, in the story titled “Death.” Elizabeth’s father left her a sum of money, which he intended to function as “a door, a great open door” for Elizabeth (S. Anderson 275). She saves this money, and intends to one day give it to George as an expression of her desire for him to get out of Winesburg and follow his dreams. She her illness restricts her, however, and she lies “still and speechless in her bed” for a month, unable to tell George about the money and where she has hidden it (S. Anderson 280). This “great open door,” then, is reduced to yet another closed one, and George is left with the final image of his mother as a closed door when he leaves her room, then “turn[s] and stare[s] at the door through which he had just come” (S. Anderson 284). The symbolism of the open and closed doors is not restricted to Elizabeth Willard’s longing for expression and connection with her son, however, but it permeates the work and becomes particularly evident again in “Loneliness.” Enoch Robinson is the grotesque in this story, and as he drew into himself and into his room, abandoning the friends to whom he could never express himself, “he locked the door” (S. Anderson 205). Within his shut room Enoch created an entire world for himself, complete with people he constructed within his own mind. When one of his neighbors began visiting him, however, Enoch “didn’t want to let her come in when she knocked,” but he did, and eventually he tried to let her into his world (S. Anderson 210). When the neighbor tried to leave, Enoch “ran and locked the door,” desperate to preserve a human connection. The open and closed door in this story again reinforces the idea of the contrast between access and isolation within a person. Enoch opens himself up to his neighbor, but the fear of separation causes him to close it again, attempting to keep her on the inside with him. By closing the door, however, he is severing the relationship, and when she leaves, “all the life there had been in the room follow[s] her out” (S. Anderson 211). In addition to the external representation of isolation through doors, Anderson demonstrates isolation through the contrast in expression during the night and isolation during the day. Characters experience their great moments of epiphany during the night throughout the work. In Winesburg, Ohio, “the deformities caused by day (public life) are intensified at night, and in their very extremity, become an entry to reality” (Howe 411). In adventure, for example, it is night when Alice Hindman gives in to the “mad desire to run naked through the streets” in “Adventure” and seek the human connection she has not allowed herself for years (S. Anderson 133). The stranger’s plea for the little girl to “be Tandy” and “[b]e brave enough to dare to be loved” occurs late at night (169). In “The Strength of God,” Curtis Hartman’s experience of God in the form of Kate Swift takes place late at night. At night, each of these grotesques has the opportunity to release the things he or she has not been able to in the light of day, “as if the most sustaining and fruitful human activities can no longer be performed in public communion but must be grasped in secret” (Howe 411). These moments of epiphany, however, are brief, and they recede again with the sun. Although the grotesques finally release their truths in powerful moments of expression, they are shrouded in darkness, where they are unseen by others, as they do so. Their moments of triumph, then, only serve to reinforce their isolation, as they are able to find understanding in intense yet fleeting moments, and in these moments when they are most able to connect with others, they fail. The epiphanies “merely serve to emphasize the intensity of their isolation” (D. Anderson 428). Even when the grotesques open their closed doors momentarily, they realize that the darkness of their isolation surrounds them. Next, Anderson employs interpersonal relationships to highlight how the contrast between expression and suppression relates to the isolation of the grotesques in Winesburg, Ohio. He uses George Willard as the primary agent for this task. George is not yet a grotesque in the story, and so when he communicates with the grotesques, they see in him “the key that will release them from their prisons and enable them to resume normal human forms” (D. Anderson 428). Many of the grotesques project what they want for themselves onto George, and so he becomes the collection of the communication they wish they could access. George as a specific character, then, is less important than George as an attempted representation of the truths within them. In the opening story, “Hands,” for example, Wing Biddlebaum “hunger[s] for the presence of the boy, who was the medium through which he expressed his love of man” (S. Anderson 16). Once Wing Biddlebaum begins his expressive act, George Willard is no longer named, but simply referred to as “the boy,” because for Wing, George simply represents the innocence of youth and the vitality of not having yet become a grotesque. The schoolteacher, Kate Swift, offers another example of the grotesques trying to access humanity again through George Willard. She experiences “a great eagerness to open the door of life to the boy, who had been her pupil and whom she thought might possess a talent for the understanding of life” (S. Anderson 194). Although George’s identity is almost secondary in many of his interactions with the grotesques, the fact that he is a writer and reporter remains important. George’s identity as a writer necessitates that he have the ability to express what he thinks, which establishes a clear distinction between him and the grotesques. The most common interpersonal relationships within Winesburg, Ohio are those between George Willard and the grotesques, and the contrast between the natures of George and the grotesques emphasizes the isolation of the grotesques. Finally, in addition to Anderson’s emphasis on the ways in which external elements of the environment and the relationships between George and the grotesques demonstrate how the contrast between what is expressed and what is reserved establishes isolation, the also uses the isolated intrapersonal relationships to the same end. On a physical level, the grotesques often have a small deformity to reflect the deformities within them. As Ray Lewis White suggests, “the unusually active hands of Wing Biddlebaum lead the reader to awareness that one of the few intellectuals in Winesburg, Ohio has an unusual mental and psychological constitution” (58). Anderson provides a particularly grotesque description of Wash Williams in “Respectability,” stating that he resembled “a huge, grotesque kind of monkey creature with ugly, sagging, hairless skin below his eyes and a bright purple underbelly” (S. Anderson 135). These physical deformities demonstrate the intensity of the strain of suppression. Because the grotesques are incapable of releasing their own truths through verbal expression or action, the truths reveal themselves physically. In conclusion, Sherwood Anderson demonstrates the intensity of the isolation created through the grotesques’ inability to express their thoughts and feelings in Winesburg, Ohio through the environments of the grotesques, their relationships with George Willard, and their own physical deformities. Anderson’s work provides a comprehensive survey of the lives of the grotesques in Winesburg, Ohio, but he suggests that this phenomenon is applies to everyone, and that he has only offered an account from a handful of individuals in a single town. In “The Book of the Grotesques,” Anderson claims that “all of the men and women the writer had ever known had become grotesques” (3). He offers a solution to the outcome of isolation, however, in the form of George Willard who grasps that “the thing that makes the mature life in the modern world possible” is love (S. Anderson 298). Anderson, David. “The Grotesques and George Willard”Winesburg, Ohio: Text and Criticism. New York: Viking, 1966. 421-430. Print. Anderson, Sherwood. Winesburg, Ohio. New York: Viking, 1958. Print. Howe, Irving. “The Book the the Grotesque” Winesburg, Ohio: Text and Criticism. New York: Viking, 1966. 405-420. Print. White, Ray L. Winesburg, Ohio: An Exploration. Boston: Twayne, 1990. Print. “I am fortunately an entirely handsome devil and appear even younger than twenty-nine. I look like a clean cut youth, a boy next door, and a good egg, and my mother stated at one time that I have the face of a heaven’s angel. I have the eyes of an attractive marsupial, and I have baby-soft and white skin, and a fair complexion. I do not even have to shave, and I have finely styled hair without any of dandruff’s unsightly itching or flaking. I keep my hair perfectly groomed, neat, and short at all times. I have exceptionally attractive ears” (65). Sick Puppy’s self-descriptions establish many of the odd contrasts within Sick Puppy’s characters. He appears to be a “clean cut youth,” but the company he keeps and the activities he enjoys contrast sharply with this image. Sick Puppy maintains that he only dresses the way he does because he has to for his profession, but he clearly takes pride in his appearance when he says that he has “exceptionally attractive ears” and “finely styled hair.” He douses himself with “English Leather Cologne,” which acts in a way as a subtle substitute for the mohawks and leather that his friends wear (55). Sick Puppy also describes himself as a “handsome devil” and says that his mother described him as having the “face of a heaven’s angel,” which may be referring to a fallen angel, or the devil. Again, Sick Puppy is describing himself as entirely likable and clean-shaven on the surface, yet suggesting that his appearance is not representative of his true nature. Sick Puppy also says that he has “the eyes of an attractive marsupial,” which creates the idea, especially when combined with his nickname, creates the idea that he has some animalistic tendencies. Sick Puppy’s self-descriptions in “Girl with Curious Hair” demonstrate the contrasts within his personality and appearance. When a dream or vision is brought to be in reality, as when an artist attempts to execute his vision, he often finds that his attempt to match the form he has created in his mind results in something entirely unlike what he intended. One of the most important aspects of this passage is the idea that a wave gives “up its shape in a gesture that expresses its shape” (528). Similarly, a work of art or literature breaks away from the intended idea by imitating the form of the idea. In this act of imitation, it is transformed into something entirely different. This passage calls attention to the importance of the form, which also draws the reader’s attention to the structure of the poem. The removal of punctuation and line breaks emphasizes the role of these choices within the original text. Ashbery’s choice to split sentences between lines as he does may be likened to the text “breaking on a rock” as the waves do in this passage (528). In the deformed version, the text continues without disruptions, but Ashbery’s breaks in the original create waves which signify the move from the dream or idea to the realization of the dream. The distorted passage, without the pauses provided by punctuation, seems to read as a stream of consciousness, as it is a direct reflection of the artist’s intentions. The original text, however, features a structure that was established during the act of creation. Ashbery calls attention to these breaks, which is especially evident in the line break that immediately follows “lapse.” He creates a physical lapse to draw attention to the lapse between the ideal and the actual. Because the line breaks in the original text occur at points which seem to be unnatural, they almost read as if they were a mistranslation of an original piece of text, which further emphasizes this idea that an artist’s original vision and the resulting product are not identical. “She saw him grab the leg and then she saw it for an instant slanted forlornly across the inside of the suitcase with a Bible at either side of its opposite ends” (1353). “The nervous expressive fingers, flashing in and out of the light, might well have been mistaken for the fingers of the devotee going swiftly through decade after decade of his rosary” (758). First, each story features a study of a very specific body part. In “Good Country People,” this is Hulga’s leg, and it is Wing Biddlebaum’s hands in Anderson’s story. Each of these anatomical pieces becomes an object of study because there is something broken and hidden behind them which have shaped the owner’s personalities. Both Hulga and Wing Biddlebaum make efforts to conceal the body part which makes them district, which is seen in the fact that “no one ever touched [Hulga’s leg] but her,”(1351) and the claim that Wing Biddlebaum “wanted to keep [his hands] hidden away”(755). Differences between the two situations begin to appear when we consider the nature of the body part being observed. Wing Biddlebaum‘s hands are important because of what they have done and what they are capable of doing. His “nervous expressive fingers” provide images of motion and demonstration of emotion and desire. Hulga’s artificial leg, however, is important for its stark physical reality. It is mentioned in this quote as simply “the leg” and O’Connor offers very little description of the leg itself. The lack of description emphasizes the fact that the leg is artificial, and thus incapable of expressing emotional truths. Once she removes the artificial leg, she begins to imagine herself running away with the Bible salesman, as if that unfeeling apparatus had numbed the rest of her as well, so by removing it, she was left only with the live and lively parts of herself. Next, the importance of names and renaming arises in each of these stories. Wing Biddlebaum was born Adolf Myers, but he changed this name following the incident brought about by the use of his hands. Hulga also chose to change her name. Her mother named her Joy, but she chose to call herself Hulga “on the basis of its ugly sound” (1342). Wing Biddlebaum and Hulga renamed themselves as an act of transformation and acceptance of the changes which their unique anatomical parts have dictated. In “Good Country People,” O’Connor refers to Hulga and the Bible salesman as “the girl” and “the boy,” which strips both characters of the identities they have been assigned earlier in the story and prepares the reader for the reversal of roles when the Bible salesman adopts the role of the clever trickster and Hulga that of the simple figure of amusement for him. 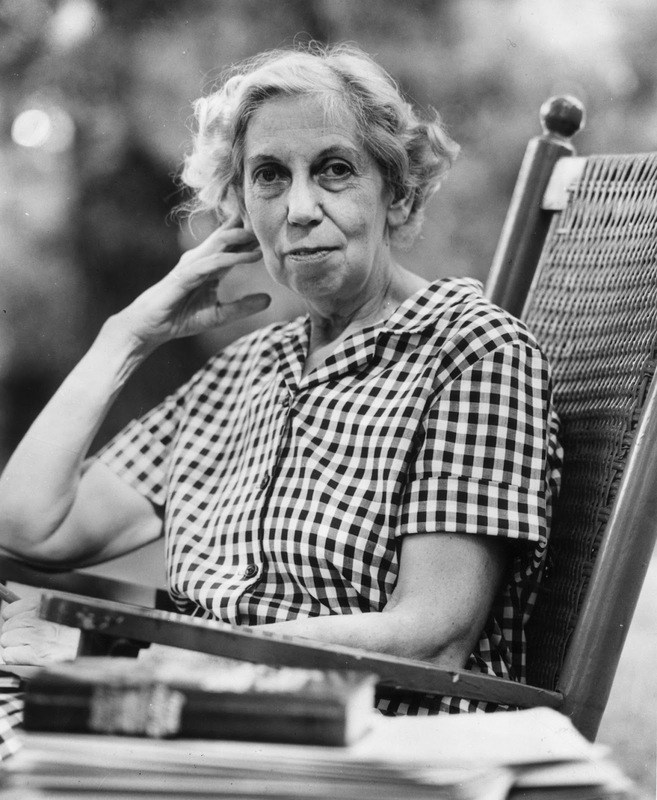 Eudora Welty was born in 1909, and she constructed an impressive body of work throughout her long life which cemented her place as one of the most important southern writers in American Literature and earned her many prestigious awards, including a Pulitzer Prize in Literature for The Optimist’s Daughter. Welty found inspiration in literary figures including Virginia Woolf and William Faulkner. She also found a productive relationship with her mentor, Katherine Anne Porter, who wrote an introduction for Welty’s first short story collection, A Curtain of Green. Elements of Welty’s photography bled into her written work as well, especially the need to “capture transience”. Welty’s use of dialogue demonstates her desire to maintain an honest depiction of a moment within her short stories in much the same way that her photographs preserve a moment. In Sherwood Anderson’s “Mother,” Elizabeth Willard has become “listless” and contained since her youth (760). She compares her own unfortunate transformation from vitality to “shabbiness” to that of the hotel, and this comparison deepens throughout the work. Elizabeth has isolated and contained her feelings, as if she is compartmentalizing them into separate rooms. The story emphasizes the opening and closing of doors within the hotel, which may be likened to opening and closing the various compartments within Elizabeth. When George leaves his mother’s room, he “fumble[s] with the door knob,” which indicates his difficulty in accessing his mother’s feelings (763). Tim has no trouble locating his wife’s feelings, but he mistreats them. He holds the door to his son’s room, and by extension the door to Elizabeth’s feelings towards George, open as he delivers the speech that enrages Elizabeth. Tim bursts through Elizabeth’s defensive doors and George fumbles around before opening them, but Elizabeth seems incapable of opening them at all. She repeatedly goes to George’s closed door with the intention of opening it, only to end up slinking to the floor and pressing against the shut door. Elizabeth wants her son to escape her own fate, especially as she sees that her condition is only getting worse. She has compressed her dream of travelling and acting down to a small box of makeup tucked in the corner of her closet. The hotel is rapidly losing patrons and becoming less open to others as Elizabeth herself becomes less open. Elizabeth’s message to George that he is “’too much indoors’” is her best effort at warning him to avoid hiding within walls and behind doors with every thought and feeling trapped and “unexpressed” (759). “Combined with this was another perversity—an innate preference for the represented subject over the real one: the defect of the real one was so apt to be a lack of representation” (370). The narrator’s preference for the “represented subject” over the “real one” carries through to his status as an artist. Prior to the Monarchs, the narrator employed models who are able to shed their own realities and become no more than representations. The Monarchs, however, are trapped in a reversal of reality and representation. They view their monetarily comfortable past as their reality and their current status as a mere act or representation. When they are posing for the narrator, then, they are not acting, but in some sense reenacting their own past. When placed in front of the narrator, the Monarchs are able to express a truth, albeit a simple and seemingly superficial one. The narrator shows a discomfort with the idea that the artistic process can illuminate truth in that he places Mrs. Monarch in various poses, only becoming satisfied with the ones in which her “face was somewhat averted or blurred” (375). The narrator avoids truth in art, instead opting for projects for cheap publications, including the ironically coined “Cheapside” (379). His relationships with others appear to be just as shallow as the art he wishes to create. For example, he cannot remember where his “old friend” John Hawley went for a year. The Monarchs become unpliable “brawny giants” in the narrator’s works, forcing the viewer to view them for who they are rather than the characters that they represent (374). The narrator needs for his subject to be a representation in order to stifle the truth that lies in his subjects and instead provide the cheap, fantastical images that sell.